In 2015, the All Sky Automated Survey for SuperNovae (ASAS-SN) detected an event, named ASASSN-15lh, that was recorded as the brightest supernova ever—and categorised as a superluminous supernova, the explosion of an extremely massive star at the end of its life. It was twice as bright as the previous record holder, and at its peak was 20 times brighter than the total light output of the entire Milky Way. In this scenario, the extreme gravitational forces of a supermassive black hole, located in the centre of the host galaxy, ripped apart a Sun-like star that wandered too close—a so-called tidal disruption event, something so far only observed about 10 times. In the process, the star was "spaghettified" and shocks in the colliding debris as well as heat generated in accretion led to a burst of light. This gave the event the appearance of a very bright supernova explosion, even though the star would not have become a supernova on its own as it did not have enough mass. The team based their new conclusions on observations from a selection of telescopes, both on the ground and in space. Among them was the Very Large Telescope at ESO's Paranal Observatory, the New Technology Telescope at ESO's La Silla Observatory and the NASA/ESA Hubble Space Telescope. The observations with the NTT were made as part of the Public ESO Spectroscopic Survey of Transient Objects (PESSTO). 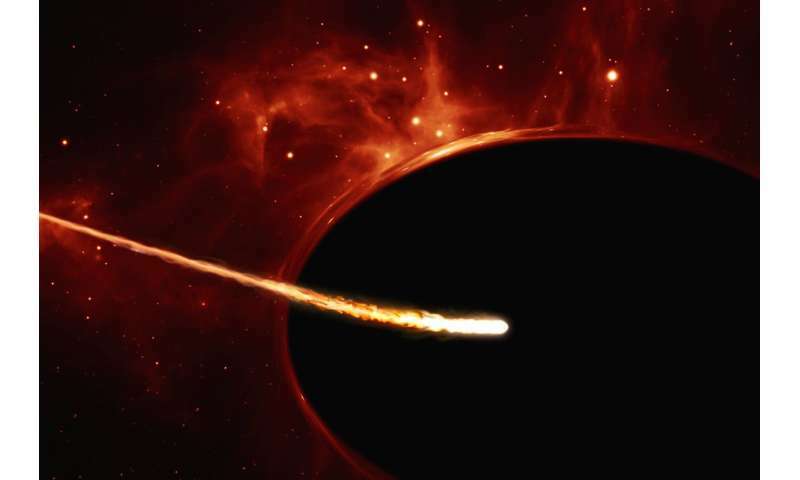 "There are several independent aspects to the observations that suggest that this event was indeed a tidal disruption and not a superluminous supernova," explains coauthor Morgan Fraser from the University of Cambridge, UK (now at University College Dublin, Ireland). Although the team say a supernova source is therefore very unlikely, they accept that a classical tidal disruption event would not be an adequate explanation for the event either. 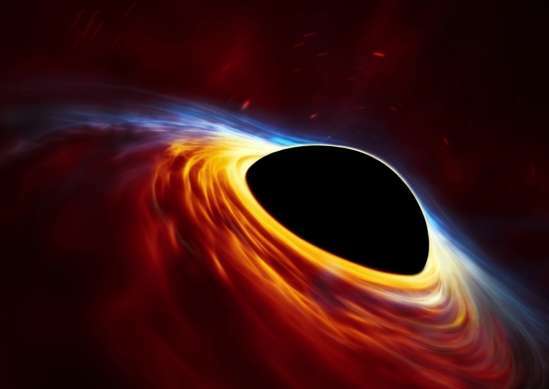 Team member Nicholas Stone from Columbia University, USA, elaborates: "The tidal disruption event we propose cannot be explained with a non-spinning supermassive black hole. We argue that ASASSN-15lh was a tidal disruption event arising from a very particular kind of black hole." The mass of the host galaxy implies that the supermassive black hole at its centre has a mass of at least 100 million times that of the Sun. A black hole of this mass would normally be unable to disrupt stars outside of its event horizon—the boundary within which nothing is able to escape its gravitational pull. However, if the black hole is a particular kind that happens to be rapidly spinning—a so-called Kerr black hole—the situation changes and this limit no longer applies. "Even with all the collected data we cannot say with 100% certainty that the ASASSN-15lh event was a tidal disruption event," concludes Leloudas. "But it is by far the most likely explanation." This research was presented in a paper entitled "The Superluminous Transient ASASSN-15lh as a Tidal Disruption Event from a Kerr Black Hole", by G. Leloudas et al. to appear in the new Nature Astronomy magazine. Hey Benni, looky there. It's an image of a black hole! Oh wait, it's just the science of color by numbers by an artist using his impression of what astrophysicists fanciful imaginings may be.